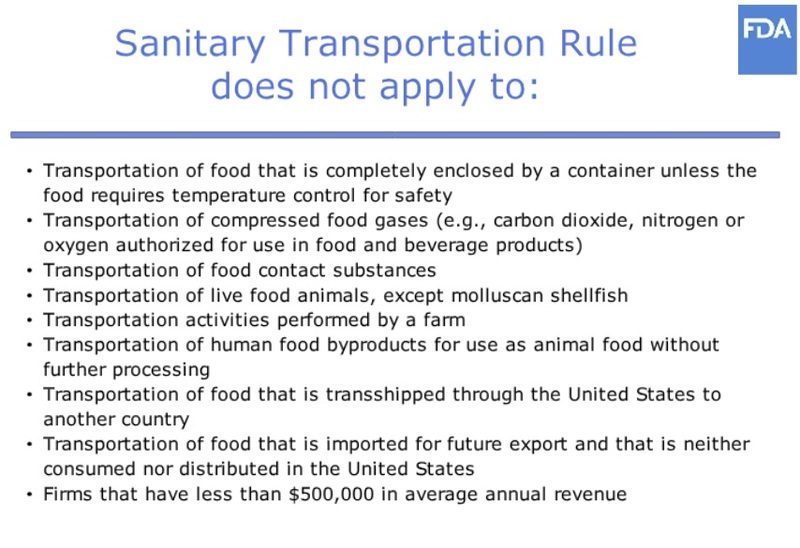 If you are involved with food or temperature-controlled food cargo in the supply chain, the rule likely applies. See the chart below for any exceptions to the rule. Smaller fleets are exempt from this rule if they have less than $500,000 in gross annual revenue. Standardized operating procedures are in effect for the cleaning, sanitizing and inspection of the trailer. The FDA has a new online training course for motor carriers and their drivers. Click here: Sanitary Transportation Rule training. I took the course. There are several modules and a few questions after each part. Depending on how fast you read, it will take 20 to 40 minutes. At the end there is a form to print a out a certificate. Keep a copy for your records, and perhaps write the date on the back. 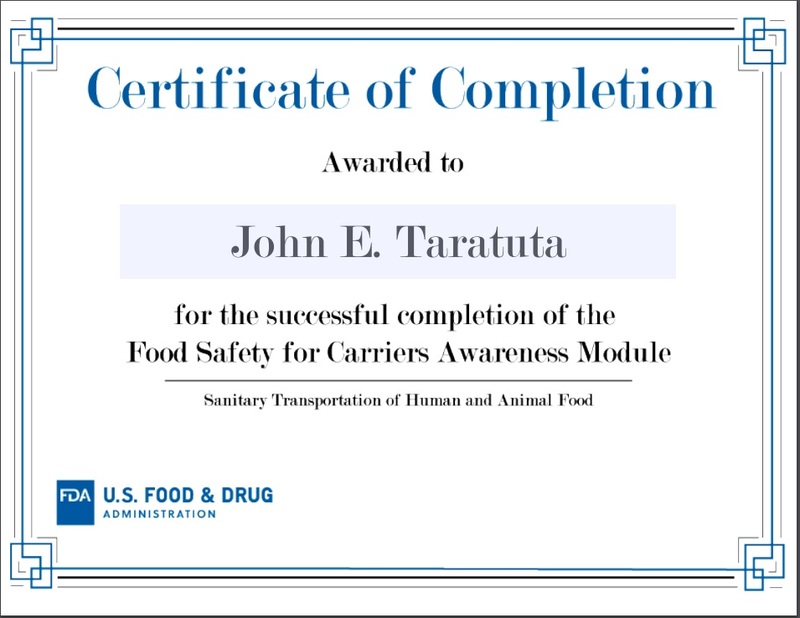 If your company is in the food supply chain, I would recommend having all of your drivers take this online FDA course. What Do You Want: A Job . . . or a Position? – a particular way in which someone or something is placed or arranged. What, you might ask, does a Rolls Royce have to do with truck parking? Years ago when putting together a curriculum for training truck drivers I did research on some of the top driving schools in the world. What made them the best? What did they do?Everyone knows that Rolls Royce is one of the best cars in the world. Even that People’s Revolutionary Lenin took possession of a Rolls, no doubt in the name of the people. One of the things I came to find out was that professional Rolls Royce drivers never park their vehicle — they always position the car. While that might be a subtle nuance, professional Rolls drivers are informed (indoctrinated) that how the vehicle is parked (errr— positioned) should make a difference. 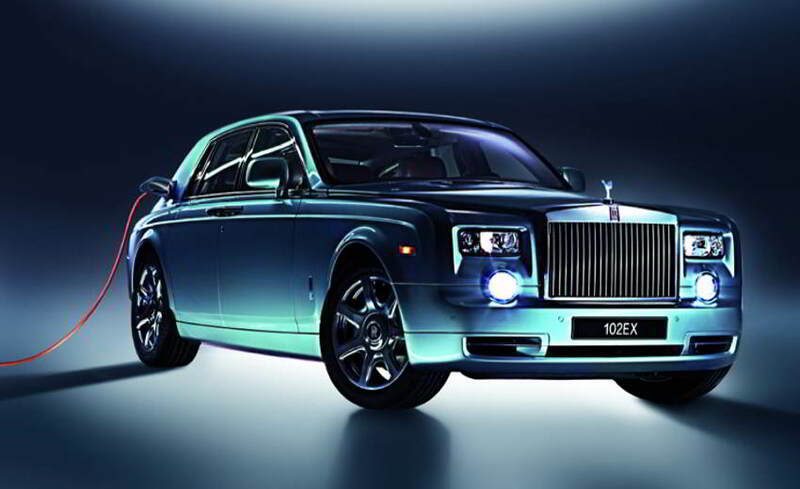 With new truck prices now often exceeding the price of a Rolls, one would think that the idea should catch on. 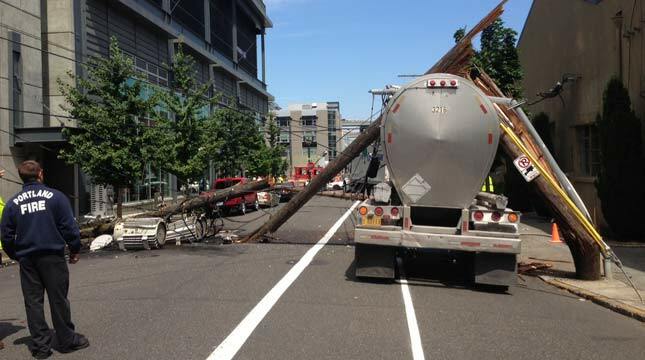 Parking stress is one of the top concerns of many truck drivers. Parking lots can become quickly congested and there is always the element of danger when large trucks try to maneuver around each other in tight spaces. Collisions, injuries and even fatalities are bound to occur. But there’s another emerging problem that goes beyond a lack of parking spaces — there are some drivers who just don’t get it. They simply don’t know how to park. Here’s an example . . . These two trucks in the middle in the next photo are angled so another truck cannot park next to them. The two middle trucks are taking up at least four parking spaces . . . This was recently shot at a packed truck stop by V-blogger Trucker Josh, who gave his two cents on the matter . . .
That is skill to take up five spots with two trucks. Bravo. Get out of your truck . . .
Every time I park, I walk around my truck and I walk away from it and I look at the whole thing from a distance. I ask myself a few questions . . .
2. Am I between the lines? 3. If I can’t see the lines, I imagine lines and ask myself again, Am I between my imaginary lines? 4. Can everyone else around me get out, so I won’t get woken up at 4 in the morning when they want to leave? Can they get out? Are they going to hit me when they get out? These are all questions that I ask myself as I am walking around the truck looking at my parking . . . Then, if I can’t see the lines, I look at the other trucks that are parked there, then imagine lines . 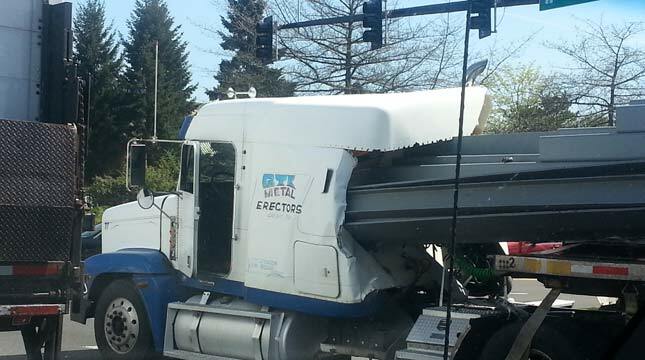 . .
And that is how one professional driver positions his truck . . . If positioning was done properly, I believe we could potentially solve some of the parking problems drivers are experiencing. Drivers need to know how to properly position their vehicles without being a hazard to the trucks next to them and, most of all, without taking up two or even three desperately needed parking spots. Other Parking Horrors . . . Here are two more bad parking examples . . .
A tractor trailer is parked tightly against the curb . . . Tires scrubbing hard against the curb. Not a good thing . . . 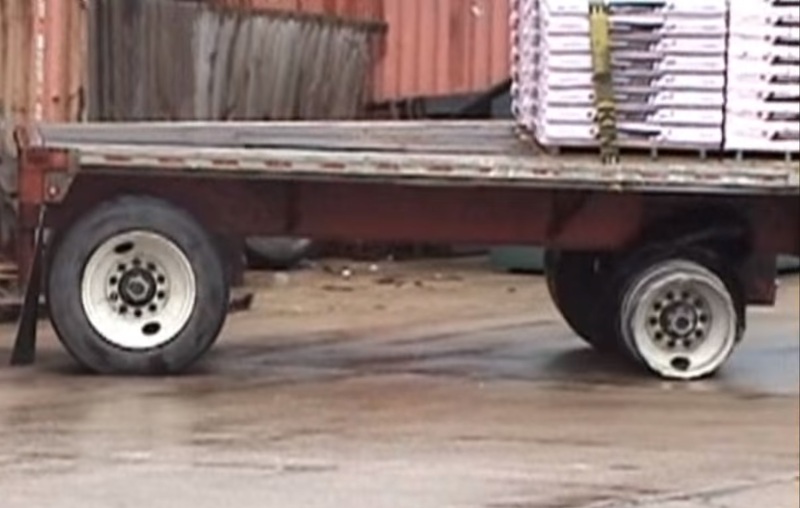 There are a number of other tricks of the trade when it comes to positioning a truck or tractor trailer. Pulling forward tight against a curb can lock the shifter of a truck with an automatic transmission. There are some places a truck should never park . . . like on ramps and expressways. It’s automatic termination, for example, for Landstar drivers who violate that company policy. Know emergency stopping procedures. 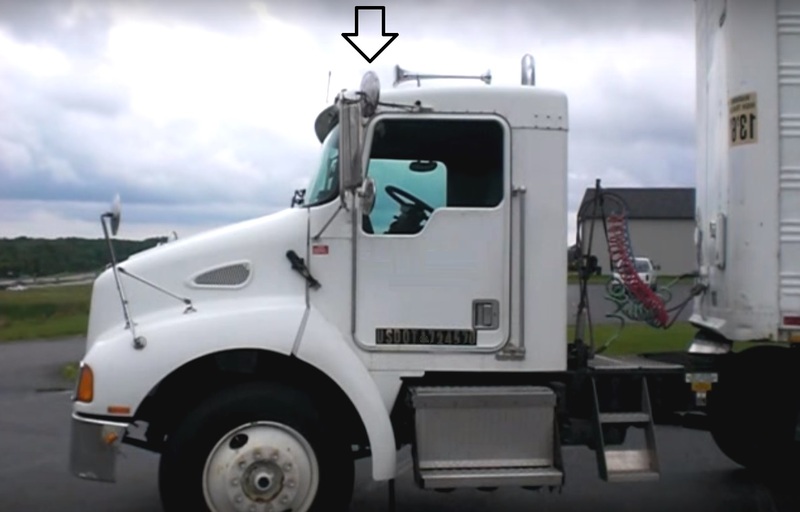 One recent lawsuit was settled for over $2.5 million when a driver did not put on his four-ways and set-up his triangles . . . We all pay for this kind of foolishness in higher insurance premiums. Positioning the vehicle correctly every time does make a big difference. Posted in Driver Indoctrination, Safety Tips, Training	| Tagged parking a truck, Parking stress at truck stops, positioning a truck or tractor trailer. Taking the plunge: eliminate the guesswork out of shifting. While many fleets are slowly moving towards automatic transmissions, manual transmissions and the art of manual shifting will be around for many years. If a new driver has never driven a manual, getting the rhythm down can be perplexing. 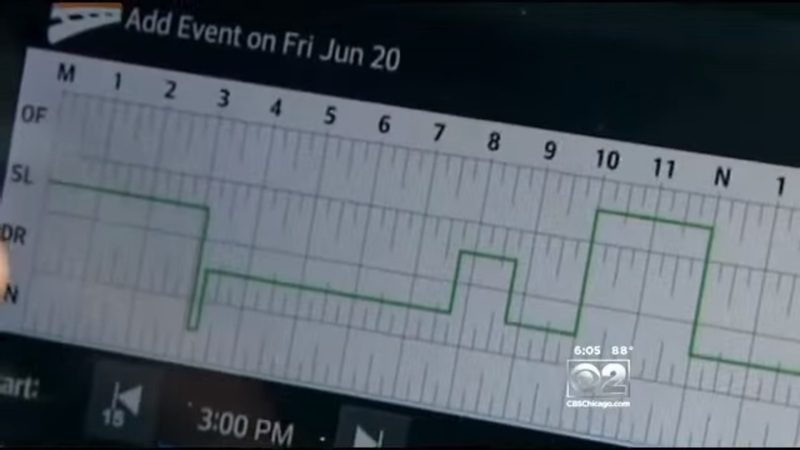 Previously we noted how one instructor used the windshield as a “whiteboard” to show the shift pattern. But some things have to be memorized. There is not enough room on the windshield for all the learning cues. Learn it in muscle memory and forget it, I would tell my students. Understanding how to smoothly shift takes practice— hours of practice, in a variety of traffic environments. I’ve heard it takes about six hours to learn how to hover a helicopter. Learning to shift smoothly from scratch takes at least as long if not longer. The key is to always know your target gear— and then know how to recover when things don’t go so well. The plunger is a good learning prop. 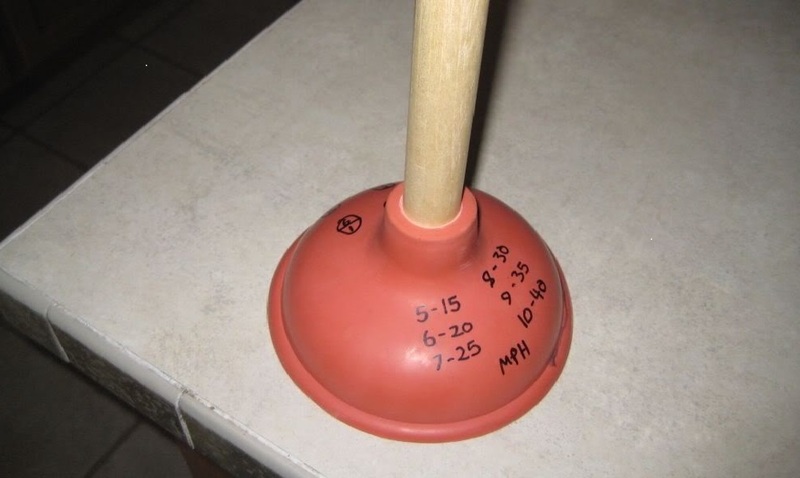 A student-driver can take the plunger home to practice, memorize speeds, or carry it on-board until they feel confident in their shifting. More . . . Perfect Practice Makes Perfect? Every job requires learning new skills or brushing up on old skills. Employees cannot deliver value to an organization without the proper knowledge and skills. Every company does things a little differently. New employees need to know and to learn company policy and procedures. Longer-term employees need to refresh their skills. Most skill development will take some training. Training increases productivity by teaching the skills that increase productivity. Training is not an event. Training is a process. The term “process” implies an ongoing program. Without training reinforcement up to 80% of what is learned may be lost in several days. Most training is too brief, sometimes known as the “hit and run approach.” There is little or no follow-up or refresher training. 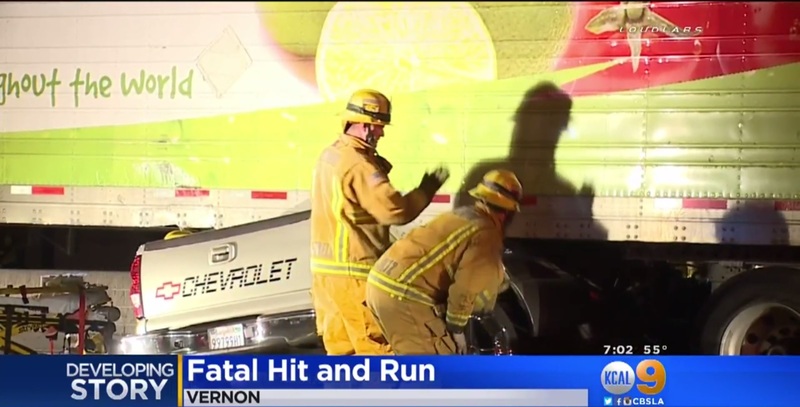 Hit and run training results in few skills being transferred to where they are needed — on the job. All training should be structured. Structured training is a starting point to employee engagement. Engaged employees know what to do and want to do it. Surveys show only half half of employees feel “engaged” with their work. Adults do not learn well in lecture-type settings. One popular “hands-on” adult training method is called Job Instruction. Step 1. Put the learner at ease. Explain what the learning concept is about. Determine what the learner already knows about the concept. Step 2. Patiently and carefully present the concept, task or operation to the learner. Stress the key points, one at a time. Do not overload. Step 3. Have the learner try out or do the task. Have the learner explain the key points. Ask questions and give feedback. Don’t stop until you know that they know. Step 4. Provide feedback through frequent checks. Encourage questions. The learner should look for key points. Slowly taper off the coaching and checkups to occasional feedback. Ask the learner questions. Do no more than 10 minutes of teaching— followed by 2 minutes of “absorption time” to allow the learner time to absorb the material. Use the two minutes to provide context for the material by telling stories or asking questions. A mistake is to try to teach everything in one session. Large-scale change happens only in steps. Always break-down the new information into chunks. According to the “somatic marker hypothesis” this is the way we make decisions and learn— through socialization and experiential learning. It’s not only a process, but a slow, drawn-out process. Emotional memory— memories and habits are formed through experiences associated with strong memories. Engaged employees directly affect the bottom line. It is the primary task of management to provide the necessary resources, including training and skills development, for staff to meet minimal standards. Only then can staff realistically be held accountable. There are drivers. And then there are drivers. For some it comes naturally. Others— often brilliant people — are clueless behind the wheel of a vehicle, their minds seem to wander off and be someplace else. Not everyone is cut out to be a good driver. Pundits lament the high levels of driver turnover (usually 100%), but turnover is one way the industry screens its not-so-good from its run-of-the-mill drivers. But what distinguishes the ordinary driver from the extraordinary driver? How does a driver reach the apex of driving? 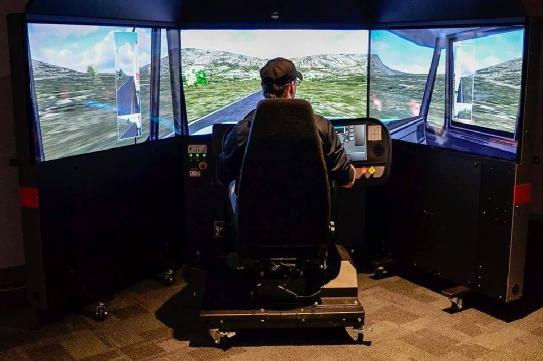 Personally, in my opinion as a driver trainer, safety advocate and, more recently, my work in loss control, I believe there are a number ways to becoming an expert driver (no matter the size of vehicle), but, paradoxically, no one way. For example, I am a firm believer in training — but I believe that training can be useless if a driver is placed in a rogue safety culture that permits or encourages senseless risk-taking. Look at a photo of any major crash . . . the names on the side of the vehicles are almost always the same . . . some of the top fleets in the U.S., with some of the most carefully screened and trained drivers in the history of surface transportation. Here are some Advanced Driving Techniques I see used by professional drivers (in no particular order, and not a comprehensive list) . . . Some of the above may be considered more of a trait or the now more popular word “factor,” than perhaps a technique, but these are some of the things I see that contribute to a professional driver’s way of driving. Researchers say truly autonomous, self-driving vehicles may be decades away. There will be a need for truly professional drivers for years to come. We should not accept anything less than professional drivers. Their Youtube videos have gotten millions of hits. With almost 4 million views this video may be one of the most popular YouTube videos on trucking. Says one former client . . . 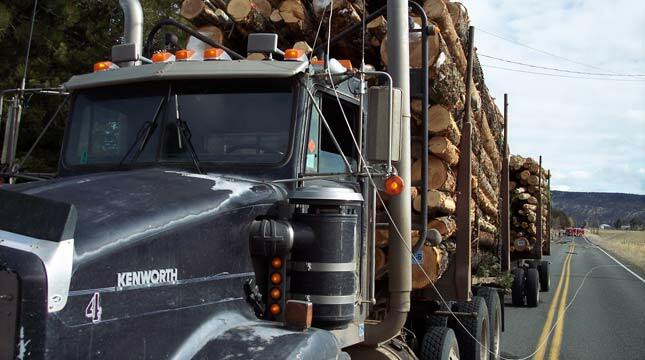 Becoming a truck driver is a marathon — not a dash to the finish line. Run a well-practiced marathon. 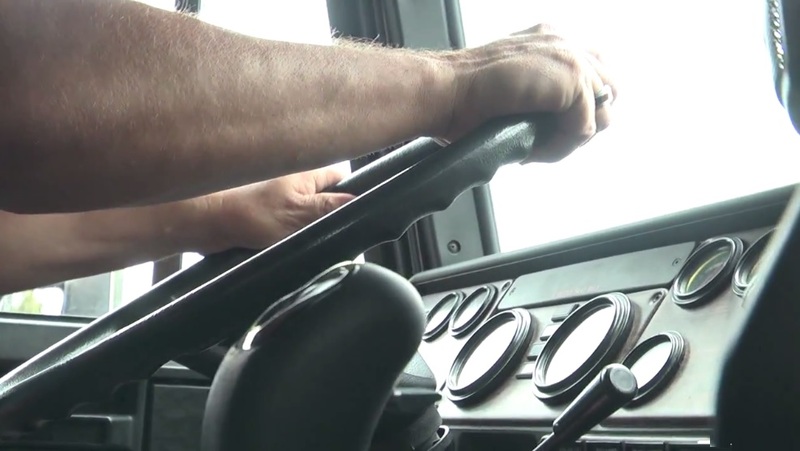 A CDL is an entry-level license to learn. Commercial Driver Learner. Truck diving is like a craft or trade. Safe driving takes a number of years to master. A good driving school will put you in a position to make lots of mistakes. That’s the time to make most of your driving mistakes — in a controlled environment. Are there any good truck driving schools other there? Yes the Professional Truck Driver Institute (PTDI) published a list of truck driving schools they certify. Go there to learn the trade, if possible. Don’t get taken for a ride. Please help support this Blog with a Micro-payment. $1 U.S.D. For use in training or company newsletters the fee is $5 per 1000 trucks. 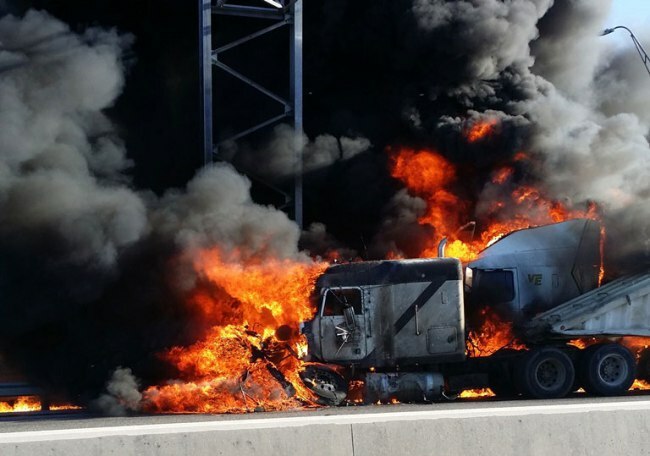 Several pileups involving 44 vehicles occurred Sunday afternoon on I-94 in Michigan. Poor visibility combined with drivers who were going too fast for conditions and following too closely, resulted in the pileups, including one with six tractor-trailers and one fatality. Poor driving habits lead to errors and mistakes. Studies suggest driver errors and/or mistakes can result from learned habits, which in turn can be corrected by training. Training is on the minds of leading motor carriers. 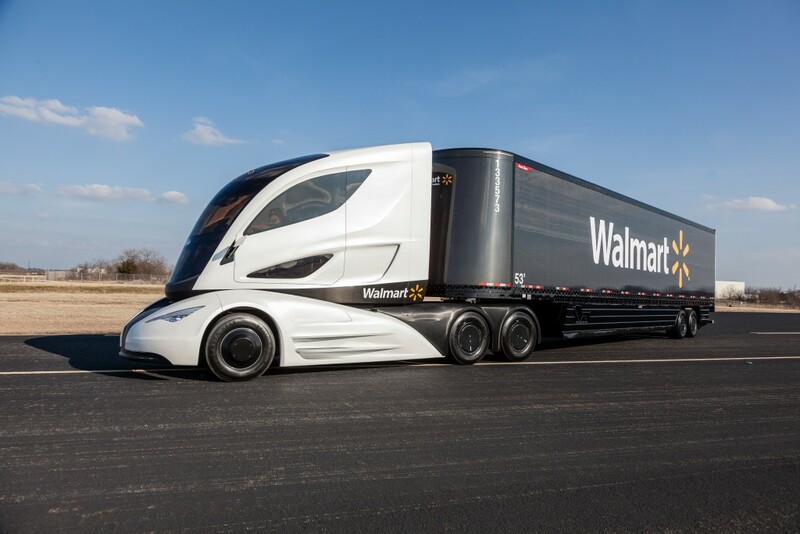 Carriers are either expanding their in-house training or breaking into training by investing in truck-driver training schools. Issue # 1. 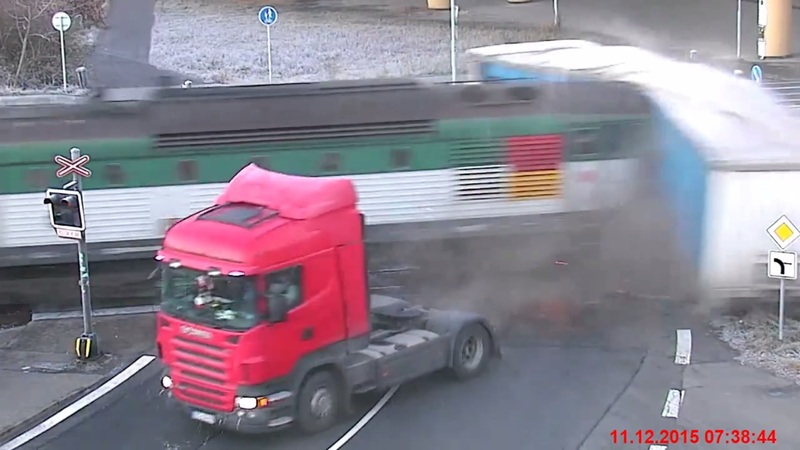 Good truck driver training is not cheap; cheap truck driver training is not good. Cheap training is any training that does not offer real value. Without quality, there is no value. Without safety there is no quality. California style: tractor with no fifth wheel hitch. Issue # 2. Funding for Workforce Training is Political. 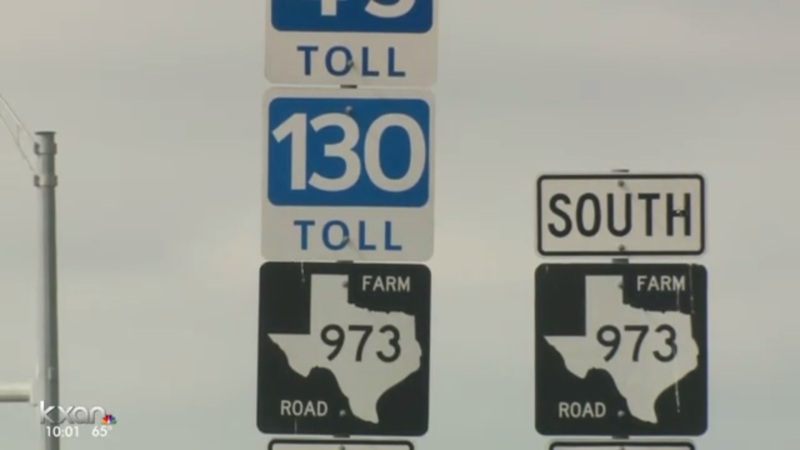 Truck driver training runs from $1800 to multiples times that amount. Workforce training funds are generally based on federal money, doled out by the state, sometimes tied into quasi-governmental entities that administer the funding. Union members may have special or additional training funding programs. Veterans have another program. In my experience, these programs are bureaucratic, even nightmarish at times when they are corrupt and drivers have their CDLs cancelled. Usually the driver is expected to invest in his own career. For some lacking those funds, this may be an impassable hurdle. For others, the bureaucratic hoops for federal/state funds are another kind of hurdle. Who should pay for the training? What’s a fair solution? Fact: The workforce is getting older. Young people feel compelled to go to college by their friends and family, even if they won’t be happy there (or later from the millstone of student debt). At the same time there is a pool of unemployed who are not attached to the labor market. This is affecting almost every industry from agriculture to construction to manufacturing. Some say this is because a number of states offer alternatives to work in the form of welfare payments equivalent to $15 to $25 /Hr. Attracting those folks back into the labor market is seen as a major challenge. Trucking is a service. One cannot build up an inventory of unused capacity in trucking like a manufacturing plant can. When the economy slows, training is the first area to be cut. When training or safety is cut, few may notice any difference in operations or may attribute losses to other considerations. Safety culture works like that. Nothing happens until something happens. Sometimes a wake-up call is a major crash. Other times it’s a visit from a DOT auditor and a shutdown notice. Corrections and change may take years to get things right again. Competency is defined as the ability to apply knowledge and skills to produce a required outcome. Competency is expected to develop from education, training and experience. Competency is generally based on a prescribed level of training. The Professional Truck Driver Institute (PTDI) promotes truck-driver training and driver finishing standards. PTDI-certified courses are currently offered at 58 schools in 19 states and one Canadian province, according to their website. Until standards are universal, training and competency will suffer. Training and competency are suffering. Drivers are set-up to fail. Some carriers employ questionable training practices. They invest little or no money in training and shift 100% of the risk and consequences to subcontractors, some who have been killed, along with their trainees. There is no agreement on what a competent truck driver should look like. That decision, and the unintended consequences that inevitably follow, will be made by some DOT bureaucrat in Washington D.C., based on the report of the Entry-Level Driver Training Advisory Committee. Training should not end when a driver gets a CDL. 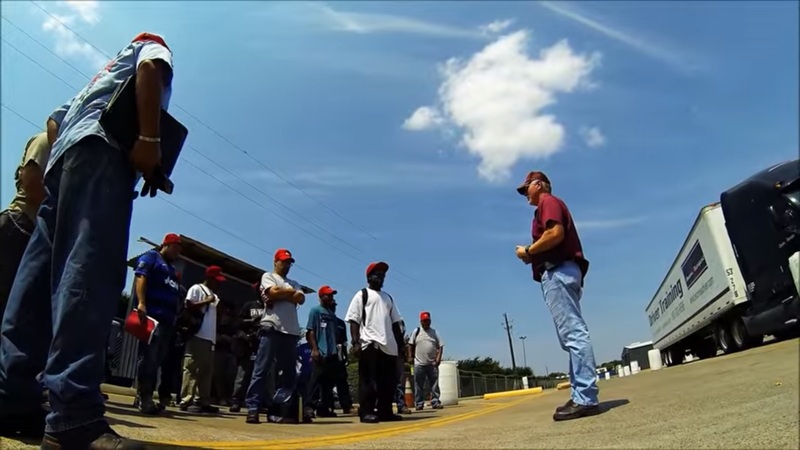 Safety training should be a core part of every driver’s career from beginning to end. Better motor carriers acknowledge this. Workforce training is an essential investment for safety and productivity. Since the recession started in 2007, there has been an overall under-investment in training, apart from a few exceptional motor carriers. This lack of investment has resulted in a loss of productivity and repeated safety issues. The good news is that corrections are being made. It is one of the goals of this safety blog to contribute to effective training solutions and safety indoctrination. The person with the camera was at a loss at the amazing sight. 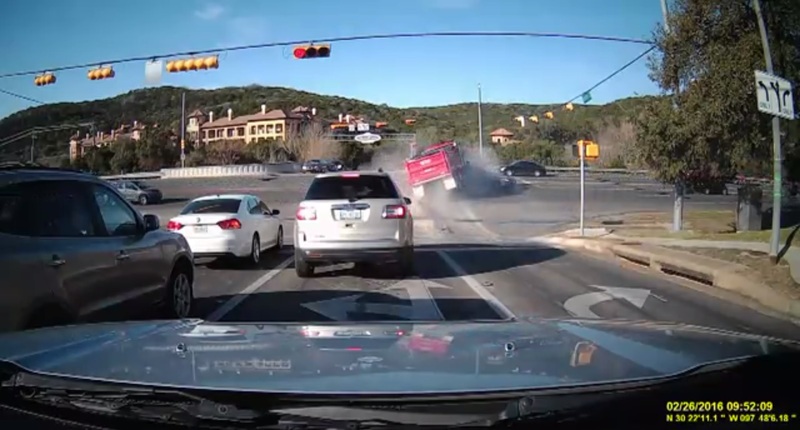 A cavalcade of tractor-trailers, from some of the biggest fleets in the U.S., slammed into each other with a steady cadence. 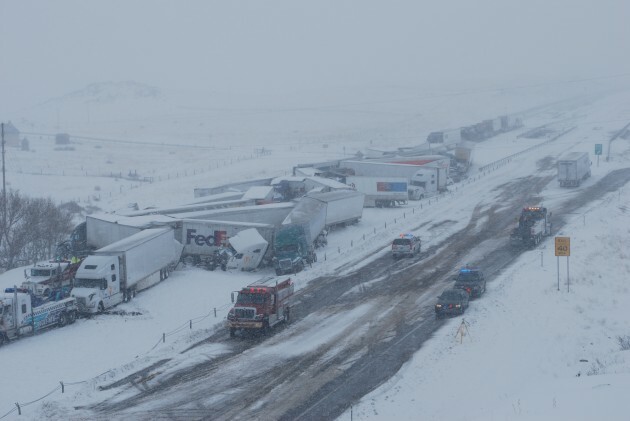 Three pileups on I-80 occurred that day due to blizzard conditions that dumped about 10 inches of snow. The worst pileup was near mile post 342. Roads were described as icy and slick and driving as treacherous. Training wasn’t an issue. These drivers are probably the best trained drivers we have ever produced. Equipment wasn’t an issue. Most equipment was A+, top-notch, primo equipment. Experience, perhaps, is a question mark. Many drivers, especially new drivers, take their cues from other drivers. They watch what everyone else is doing and try to do the same. Drivers have a tendency to drive in packs. When two and three tractor-trailers are slamming into the pileup together, what does that tell you? Riding side-by-side or passing in blizzard conditions is highly risky. How about some radio silence on the CB? Did you know that CBs are starting to get banned in certain areas? The CB should be a safety tool. How about saving Channel 19 for the real work and find another frequency to ratchet-jaw? Safety experts say collisions, incidents or “accidents” just don’t happen. In almost every case a number of risk factors (and “red flags”) are also present. 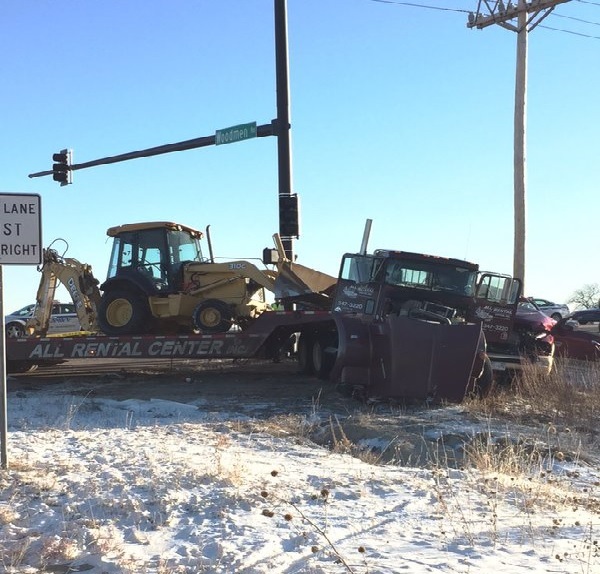 Here the slick roads, heavy snowfall and blizzard conditions all contributed to the crashes. And a primary crash can lead to secondary crashes, so a crash in itself is a risk factor for another crash to occur. Seeing it actually happen as it occurs, for myself at least, is unbelievable. Drivers appear stunned. And some were seriously hurt. 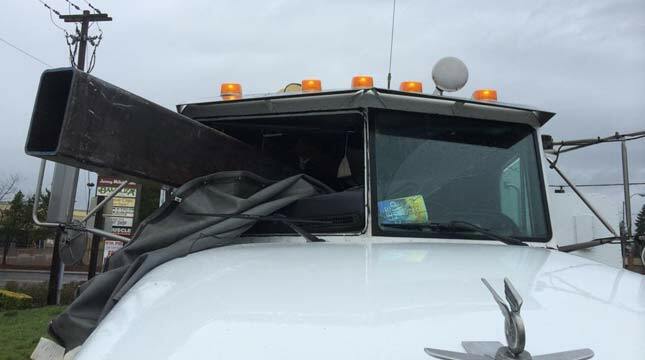 The trucks hit hard and form a solid wall of steel and twisted metal. Some drivers are trapped, but fortunately the snow absorbs most of the spilled diesel and there is no fire. Here’s another view from the other side . . . There are two times, I believe, winter can be dangerous: at the start, when drivers need to adjust their driving style to the new realities of winter, and at the end of winter, when dry roads can quickly become icy or slick due to inclement weather. Right now we are only in the first phases of winter. 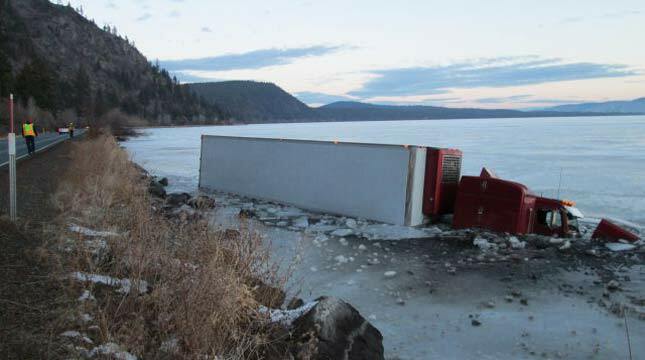 If you are new to truck driving, be aware that fresh snow can pack hard and form ice. Once a road is iced up, a driver needs to really slow down, or even get off of the road, if necessary. It can take hundreds of feet for a truck to come to a stop on a snow-packed or icy road, If a truck is light or empty additional distance is needed to stop. All stops need to be smooth and gradual. This takes more space. 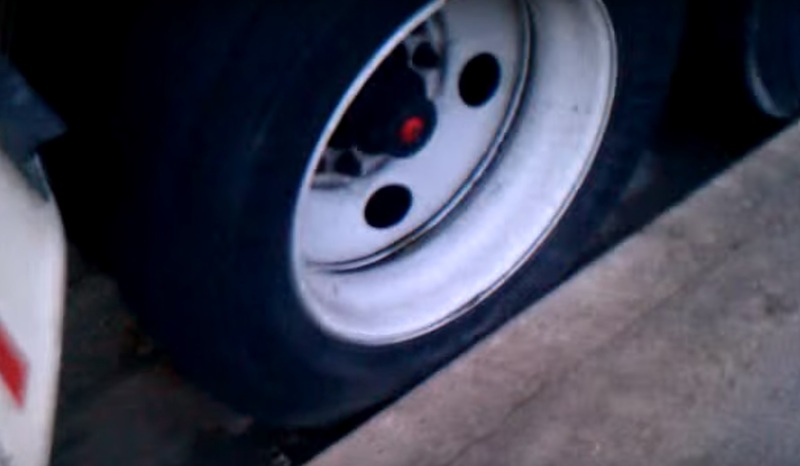 A panic stop will result in a skid or jackknife. A driver easily needs three to four times as much space to safely stop. And If the ice is wet, it will take 10 times the distance to stop. 10X! Even the Kiwis know that. 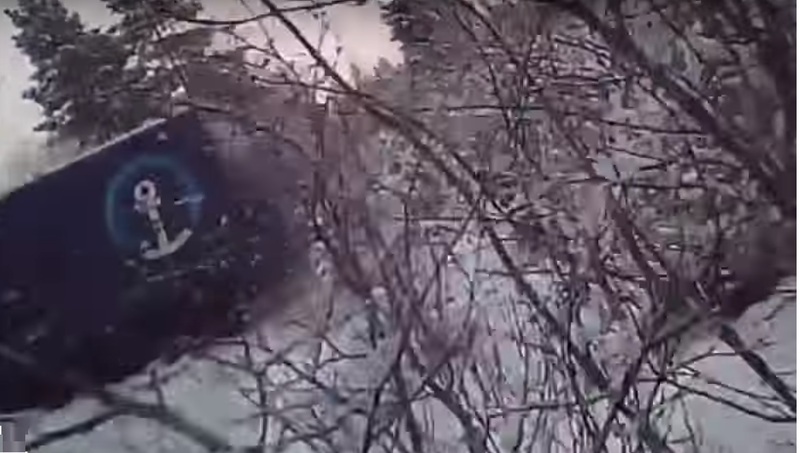 In the Wyoming crash, drivers really did not even see what they were driving into. Visibility is poor. There was no way they could safety stop. They did not “leave themselves an out.” The results speak for themselves. I hope we can do better than last year. We really need to. 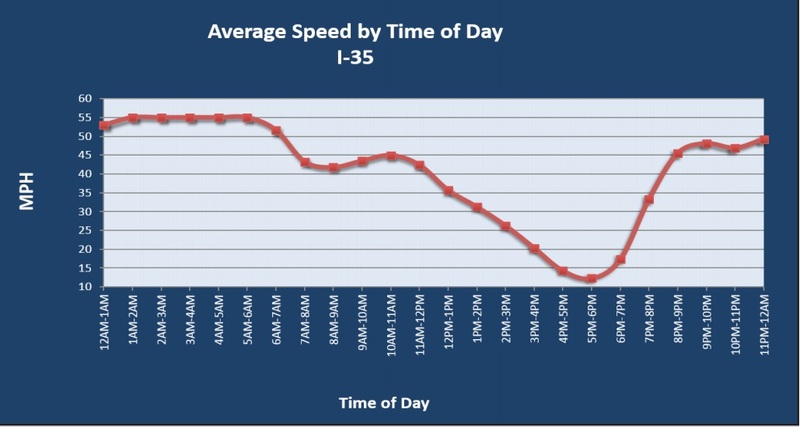 Start indoctrinating your drivers for heavy winter driving. Have a written policy for driving in inclement weather. Everyone (drivers, dispatch, schedulers) needs to know when to say no, when enough is enough. Drivers need to “read the road” for red flags: No oncoming traffic on the opposite side says something is up. Heavy wet snow will pack and form ice, wet ice. Ice forming on the wipers, or the outside of the mirrors, is a red flag, etc. 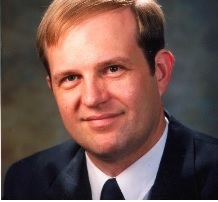 What is the primary root cause of most of the woes in trucking? The verdict is in. Human error. 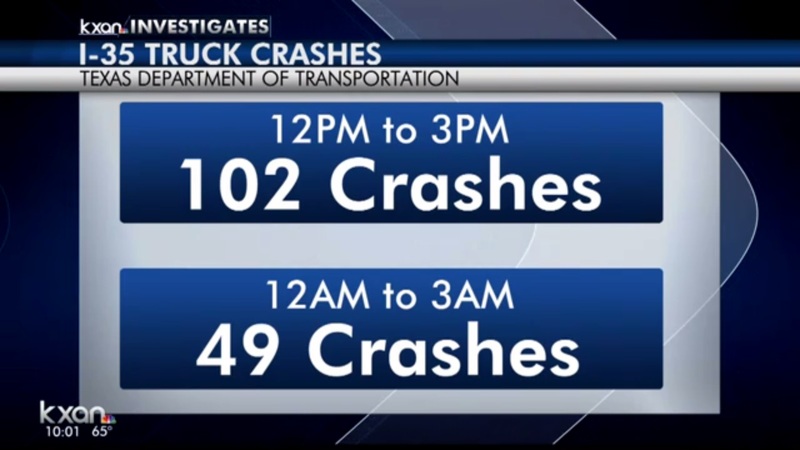 Human error is responsible for over 95% of all collisions, goofs, and bloopers in trucking. Climbing an 8 inch curb in Chicago? Nope, it’s not going to happen . . . Note the guy wire anchor on the lower right. The driver didn’t . 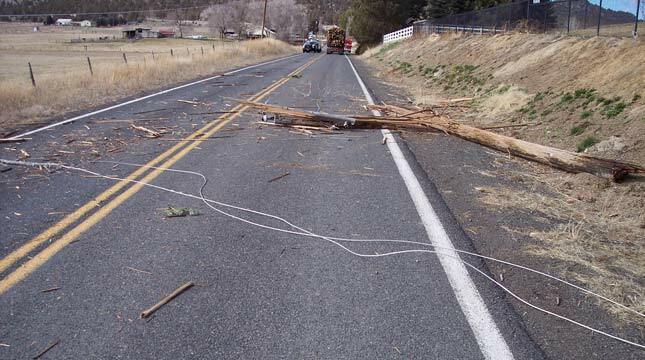 . .
Another good way to take down a telephone phone is with a 16 foot high load. Works like a charm every time . . .
Maybe if I pretend not to notice, then no one else will notice it either? The excuse? The GPS made me do it . . . 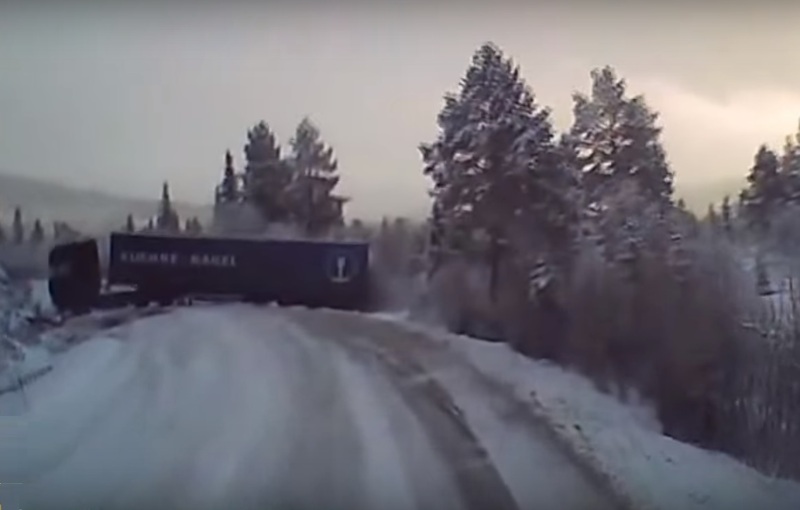 The first driver whipped around the corner on the icy road like a drift racer from the Fast and Furious. Leaving the ditch as the only option for the second truck . . .
Hauling steel is not for the faint of heart. Especially without a trailer bulkhead or headache rack. . . Practice does not make perfect. Only perfect practice makes perfect. – Vince Lombardi. Yesterday I touched on a couple of Stephen Covey’s 7 Habits. Later Covey developed his 8th Habit— “Find your voice and inspire others to find theirs.” This one habit really concerned putting the other 7 habits into practice. Implementation and execution are always difficult, because learning new habits is difficult. We also learn by practice. If we are self-taught, this is not always the best way to learn because sometimes it is akin to learning by trial and error — as most of us have a tendency to over-rate our own abilities and level of skill. 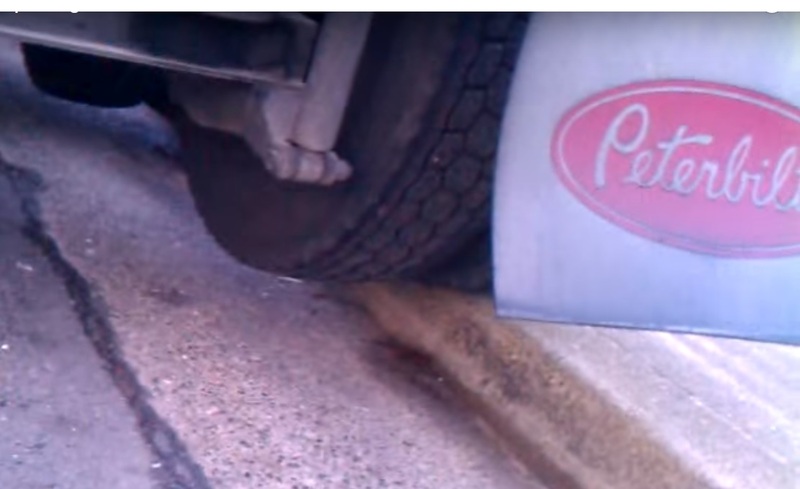 In the ‘Parking Follies’ video, the first driver sets himself up to fail with his setup and everything goes down hill from there until another driver coaches and spots him. The second driver tries with all his might, but gives up in the end. One study of human performance by Brooke Macnamara of Princeton, David Z. Hambrick of Michigan State and Frederick Oswald of Rice, found that practice alone, while important, accounts very little for individual differences in performance (only about, on average, 12% depending on the “domain” or area of activity). Age and memory can affect learning and performance, as well as basic aptitude. The great coach Vince Lombardi found this out in his career when, in 1951, he lost 43 of 45 members of his varsity football team in a cheating scandal. It took him several seasons to rebuild his team. Every season Lombardi opened up the playbook and started from page one. His only assumption was that the players had forgotten everything they knew from the previous season. 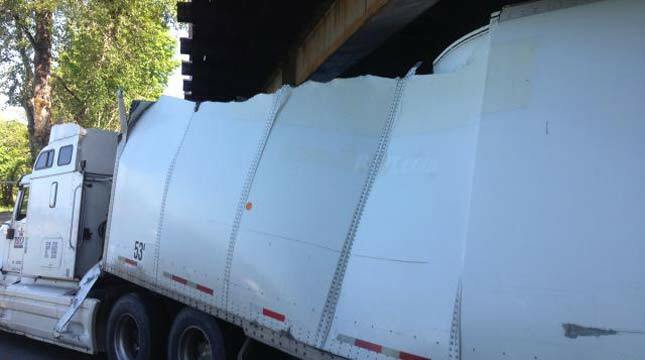 In training new truck drivers, on day one, I would tell them to take everything they think they know and throw it out the window. Performance experts suggest working on one new habit or behavior at a time. Take steering for example. Some carriers expect drivers to use shuffle steering as a safe and effective method to control the vehicle (versus palming the wheel, or using the hand-over-hand method). Performance driving instructor Dave Storton says making shuffle steering a driving habit can take four or five weeks of effort, if a driver is learning it for the first time. There is not enough time in the length of an average truck driving school to make shuffle steering a habit. Take the mystery out of performance by focusing on a mastery of the basics. Get everyone on the same page by focusing on the fundamentals and building good keystone habits throughout the organization. Work at becoming one percent better.